The Technical Services Law Librarian (TSLL) volume 41 had four issues, published in PDF and available on the TSLL website and on HeinOnline. Michael Maben completed his third year as TSLL‘s editor-in-chief and was very grateful for the excellent assistance provided by Sabrina Davis, Associate Editor; Julie Stauffer, Layout and Design; and Martin Wisneski, Web Manager. Staff published all issues for Volume 41 on schedule. The editor-in-chief greatly appreciates the work done by our dedicated columnists and editors. There were a few columnist changes through the year. In September, Jason LeMay took over the OCLC column. Beginning with the December issue, Sara Campbell began writing the Acquisitions column and Adrienne DeWitt took over the Collection Development column. In March, Angela Hackstadt began writing the Serials Issues column, and finally in June, Matthew Jenks took over the Preservation column. Concerning the Editorial Board, Marijah Sroczynski and Corinne Jacox completed their two year terms. The other Board members for 2015/2016 were Caitlyn Lam and Jennifer Fell, and the staff greatly appreciates their support. With volume 41, TSLL published fewer guest columns and special reports than in past volumes. In December there was a reprint of a column title “Cataloging as Value-Added Library Service” written by Melissa Powell and originally published on the Colorado Virtual Library website. The September issue was largely reports from the Annual Meeting in Philadelphia, while the June issue had the announcement of the Renee Chapman Memorial Award. We will look forward to another publishing year, beginning with our Conference Issue in September. The Technical Services Law Librarian (TSLL) volume 40 had four issues, published in PDF and available on the TSLLwebsite and on HeinOnline. Michael Maben completed his second year as TSLL‘s editor-in-chief and was very grateful for the excellent assistance provided by Sabrina Davis, Associate Editor; Julie Stauffer, Layout and Design; and Martin Wisneski, Web Manager. All issues for Volume 40 were published on schedule. The work done by our dedicated columnists and editors is greatly appreciated by the editor-in-chief. There were a few columnist changes through the year. After the December issue, Lia Contursi stepped down from the co-authoring the Classification column. Beginning with the March issue, Aaron Kuperman agreed to co-author that column. Aaron’s switch opened up the Subject Headings column (which Aaron had authored for nearly 15 years). Patrick Lavey volunteered to write that column beginning with the March issue. Finally Sarah Lin agreed to co-author the Private Law Libraries column after Erin Harper stepped down. Concerning the editorial staff, Sabrina Davis took over the full task of Associate Editor from Michele Thomas. Finally, with the Editorial Board, Barbara Szalkowski and Cate Kellett completed their two year terms. The other Board members for 2014/2015 were Marijah Sroczynski and Corinne Jacox, and all their support has been greatly appreciated. TSLL also printed several guest columns and special reports. In December there was a special report from the 2014 Charleston Conference written by Shyama Agrawal, Catherine Bye, and Eric Parker. In March, in the wake of the AALL Executive Board’s decision to end the support for the representatives to a number of other library organizations (including our representatives to CC:DA, the MARC Advisory Committee, and the Subject Analysis Committee), TSLLpublished statements in support of the representatives program from the Technical Services (TS) and the Online Bibliographic Services (OBS) boards, and from the current and past representatives to these three organizations. This issue received wider recognition in the AALL community, including having the Editorial Director for AALL Spectrumpersonally contacting me. Finally, there were a number of guest columnists to some of the regular columns, including several members of the TS Preservation Committee that wrote the Preservation column, and a special edition of the Description and Entry column on RDA written by Melody Lembke (with assistance from John Hostage and Melissa Beck). TSLL volume 39 had four issues, published in pdf format, and is available on the TSLL website and on HeinOnline. Michael Maben completed his first year as TSLL’s editor-in-chief, very grateful for the excellent assistance provided by Michele Thomas, Associate Editor; Julie Stauffer, Layout and Design; and Martin Wisneski, Web Manager. The September, December, and March issues were released on schedule. The June issue was delayed slightly due to a family emergency for our Layout and Design Editor Julie Stauffer. The work done by these dedicated columnists and editors is greatly appreciated by the editor in chief. There were a few columnist changes through the year. Trina Robinson stepped down from the Acquisitions column with the December issue. Beginning with the March issue, Anne Myers agreed to write that column. Also with the December issue, Ashley Moye stepped down from co-authoring the Description and Entry column, but she proposed a new column title “Library Metrics.” This column made its debut with the June issue. Mary Lippold stepped down from writing the Management column after the March issue due to her retirement. Finally, Erin Harper stepped down from co authoring the Private Law Libraries column because she was leaving law libraries (she accepted an officer manager position with an architectural firm). Concerning the editorial staff, Michele Thomas began a transition off as Associate Editor with the June issue. Michele has left law libraries to resume her practice of law. The position was posted on the Lawlib list, and after considering the applicants, the board selected Sabrina Davis as the new Associate Editor. Sabrina worked with Michele on the June issue, and they will work together on the September issue. Finally, with the Editorial Board, Christine Dulaney resigned from the board because she accepted a position at the Bender University Library at American University. Her term expired this year, so the position was left open for the incoming TS-SIS chair (Suzanne Graham) to fill. The other Editorial Board members for 2013-2014 were Victoria Sukhol, Barbara Szalkowski, and Catherine Kellett, and their support has been greatly appreciated. In addition to all the regular columns, TSLL also reprinted an interview that Professor Joe Janes gave to the iNews (a publication of the University of Washington’s Information School). Professor Janes and the University of Washington gave TSLL permission to reprint the interview. TSLL also received some outside recognition by the PinHawk Librarian Daily Digest which was picked up by the Spectrum blog, citing the content of our March issue. We will look forward to another robust year, beginning with our Conference Issue in September. TSLL volume 38 had four issues, published in pdf format, and is available on the TSLL website and on HeinOnline. Virginia Bryant completed her fifth year as TSLL‘s editor-in-chief, grateful for the excellent assistance provided by Michele Thomas, associate editor; Julie Stauffer, layout and design; and Martin Wisneski, web manager. Each issue this year was available on schedule thanks to the dedicated columnists and the conscientious TSLL staff who consistently met their deadlines. Thanks are also due to the faithful TSLL TechScans Blog contributors who’ve posted approximately 40 entries since July 2012 to keep readers current in the latest news and technology trends. Several columnist changes occurred throughout this year. Giving it a test run, Karen Wahl assisted Lia Contursi with two “Classification” columns and then agreed to officially join the co-columnist ranks with the June issue. TSLL thanks Matthew Jenks for keeping readers up-to-date and well-informed on Internet topics for three years. Dan Blackaby assumed writing “The Internet” column with the June issue. Chris Hudson stepped down from the “Serials Issues” column in December, after recruiting Wendy Moore to take over the column with the March issue. After eight years, Corinne Jacox completed her editorship of “TechScans.” But she too found TSLL an excellent successor, Jackie Magagnosc, one of the faithful TechScans Blog contributors. All continuing columnists deserve thanks also for the outstanding effort they put into their columns to keep TSLL‘s readers well-informed. In addition to the regular columns, volume 38 included a special article by George Prager recounting his sabbatical adventures in Italy. The September issue featured program reports from AALL’s Annual Meeting in Boston, for which nineteen volunteers reported on programs they attended. The editor continues to urge more use of TSLL as a venue for sharing information among the TS-SIS and OBS-SIS membership. Adapting to change is one of the hallmarks of technical services; so why not contribute a short article about a new activity affecting your department? After five years at the helm, I am delighted to turn over responsibility for TSLL to Michael Maben (Indiana University-Bloomington) who agreed to serve as TSLL‘s next Editor-in-Chief. A long-time active member of both the Technical Services Special Interest Section (TS-SIS) and the Online Bibliographic Services Special Interest Section (OBS-SIS), Michael is well-positioned to assume the editorship and move the combined SIS publication forward. Thank you to Christine Dulaney, Marilyn Nicely, Victoria Sukhol, and Lorna Tang, who’ve served on the TSLL Editorial Board this year. It’s been my pleasure to work with them, the columnists, the TechScans contributors well-coordinated by Corinne Jacox, and the TSLL staff. I appreciate all of the assistance given me along this journey in the combined effort to continue to issue a high quality publication for OBS and TS-SIS members. TSLL volume 37 had four issues, published in PDF format, and is available on the TSLL website, and on HeinOnline. Virginia Bryant completed her fourth year as TSLL‘s editor-in-chief, always grateful for excellent assistance provided by Cindy May, associate editor; Julie Stauffer, layout and design; and Martin Wisneski, web manager. This year, Michele Thomas joined Cindy as associate editor to learn the ropes, and she will take over full associate editor responsibilities following the September conference issue. Each issue this year was available on schedule thanks to the dedicated columnists and the conscientious TSLL staff who consistently met their deadlines. Thanks are also due to the faithful TSLL TechScans blog contributors who’ve posted over 50 entries since July 2011 to keep readers current in the latest news and technology trends. Several columnist changes occurred throughout this year. The December issue featured new columnists Karen Nuckolls (Collection Development), Mary Lippold (Management), Karen Selden (OCLC), and Erin Harper, who joined Allison Rainey as co-columnist for Private Law Libraries. In March, Ashley Moye joined Robert Bratton as co-columnist for Description & Entry, as the column increased focus on issues relating to Resource Description and Access. Maxine Wright assumed responsibility for the Preservation column from long-time columnist, Sally Wambold. TSLL was sorry to lose Kate Wilko’s insights on classification but appreciates Lia Contursi continuing her contributions to the column. All continuing columnists deserve thanks for the outstanding effort they put into their columns to keep TSLL‘s readers well-informed. In addition to the regular columns, volume 37 included two special articles by George Prager recounting his sabbatical adventures in China and at LC. The September issue featured program reports from AALL’s Annual Meeting in Philadelphia, for which sixteen volunteers reported on programs they attended. The editor continues to urge more use of TSLL as a venue for sharing information among the TS-SIS and OBS-SIS membership. If your technical services department has taken on new responsibilities, implemented a new product, or changed workflow-share the experience with your colleagues! After four years at the helm, I asked the TSLL Editorial Board to search for a successor editor-in-chief. I think the ideal plan would be to work with a successor, and then pass-the-baton, as has been done successfully this year with the associate editor position. Please contact Michele Thomas, Search Committee Chair and TSLL associate editor, if you are interested in the position. Thank you to Gwen Gregory, Janet Hedin, Marilyn Nicely, and Lorna Tang who’ve served on the TSLL Editorial Board this year. It’s been my pleasure to work with them, the columnists, the TechScans contributors coordinated by Corinne Jacox, and the TSLL staff. TSLL volume 36 had four issues, published in PDF format, and is available on the TSLL website, and on HeinOnline. Virginia Bryant completed her third year as TSLL’s editor-in-chief grateful for the continuing excellent assistance provided by Cindy May, associate editor; Julie Stauffer, layout and design; and Martin Wisneski, web manager. Each issue was available on schedule thanks to the dedicated columnists and the conscientious TSLL staff who consistently met their deadlines. Thanks are also due to the faithful TSLL TechScans blog contributors who’ve posted over 75 entries since July to keep readers informed about the latest trends and technology tools. This year TSLL weathered a major columnist change with Marie Whited’s retirement in December 2010. For the past sixteen years Marie co-authored or contributed her extensive knowledge on classification to the column. TSLL was indeed fortunate to have Lia Contursi agree to step in, and without missing an issue she and Kate Wilko provided an excellent “Classification” column on international criminal law and procedure. Several other columnist changes occurred throughout the year. Yuxin Li as incoming chair of the OCLC Committee wrote the “OCLC” column. The vacant “Serials Issues” column was filled in December 2010 by Chris Hudson, and in June TSLL welcomed Allison Rainey as columnist for “Private Law Libraries,” which became vacant with Beth Holmes’s resignation. There will be some upcoming columnist changes. TSLL is indeed sorry to lose Courtney Selby’s take on collection development, but congratulate her most heartily on her move to the directorship of Deane Law Library, Hofstra University Law School. Beginning with the December issue Karen Nuckolls will assume the “Collection Development” column. For the past two years, readers have certainly appreciated the sage advice offered by Karen Douglas, who has decided to step down as columnist for “Management.” TSLL thanks Karen for her insightful contributions. In addition to the regular columns, volume 36 also offered several special articles. Topics included institutional repositories and technical services, implementing the Durham Statement with digital archiving, and providing library services via cloud computing. The September issue featured program reports from AALL’s Annual Meeting in Denver, Colorado, for which sixteen volunteers reported on programs they attended. The editor continues to urge more use of TSLL as a venue for sharing information among the TS-SIS and OBS-SIS membership. If your technical services department has taken on new responsibilities, or changed cataloging procedures to implement RDA, or you’ve embarked on a sabbatical, etc.–tell us all about it! Last year’s annual report noted that AALL signed a three year agreement with Hein to include TSLL in HeinOnline. Hein added TSLL to its “Law Journal Library,” but to take advantage its much improved indexing it is best to search TSLL in Hein’s “Law Librarian’s Reference Library” using the advanced search option. The TSLL Structure and Policies document was revised and brought up-to-date this year, prompted by the committee reviewing TS-SIS’s handbook, which has a section covering TSLL. Changes in the document were reviewed and approved by the TSLL Editorial Board and the Executive Boards of both TS-SIS and OBS-SIS in February 2011. TSLL Structure and Policies is available on the TSLL website and both TS-SIS and OBS-SIS are linked to the document so any future revisions need only to be made in one place. TSLL Stylistic Conventions and the TSLL Author Guide were revised in April 2011 and appear on the TSLL website as well. My thanks to Jim Mumm, Ellen McGrath, Janet Hedin, and Gwen Gregory who’ve served on the TSLL Editorial Board with me for the past three years. It’s been my pleasure to work with them, the columnists, the TechScans contributors coordinated by Corinne Jacox, and the TSLL staff. I especially want to thank Cindy May for her superb contributions to TSLL for the past thirteen years, first as business manager and current associate editor extraordinaire. Volume 35 of TSLL consisted of four issues, published in PDF format and available on the TSLL website. Virginia Bryant completed her second year as TSLL‘s editor-in-chief with continuing excellent assistance provided by Cindy May, associate editor; Julie Stauffer, layout and design; and Martin Wisneski, web manager. Each issue was available on schedule due to the dedication and hard work of the TSLL staff. Several new columnists and contributing authors were added to the TSLL staff this year. Kate Wilko, a reference librarian at Stanford University, joined long-time columnist Marie Whited in co-editing the Classification column, and Matthew Jenks, head of collection management and cataloging librarian at Franklin Pierce Law Center, increased our knowledge of new resources with his Internet column. Corinne Jacox did a fabulous job recruiting additional contributors to the TechScans column as Georgia Briscoe, University of Colorado at Boulder; Jean Pajerek, Cornell University; Christina Tarr, University of California at Berkeley; and Ismael Gullon, Mercer University, joined Yumin Jiang and Andrea Rabbia in reviewing current literature on the latest trends and technology to assist readers in keeping-up-to-date. In addition to their column contributions, TechScan authors breathed new life into the TSLL TechScan blog, posting current information weekly. Richard Paone has stepped down after three years as the columnist for Serials Issues, so that slot is now vacant; please contact me if you’re interested. I would like to thank all of the columnists who shared their ideas and knowledge in TSLL this year. Their efforts are much appreciated. In addition to the regular columns, volume 35 also offered several special articles. Topics included ERM, the discovery platform AquaBrowser, and OCLC’s Expert Community experiment. 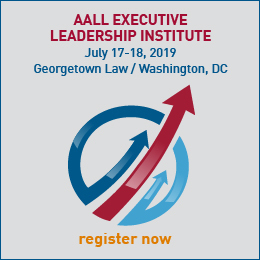 The September issue featured program reports from AALL’s Annual Meeting in Washington, D.C., for which over twenty volunteers reported on programs they attended. The editor would like to encourage more use of TSLL as a venue for sharing information among the TS-SIS and OBS-SIS membership. If you’ve implemented a new program, restructured a department, changed acquisitions procedures, evaluated implementing RDA, etc.—tell us about the process! 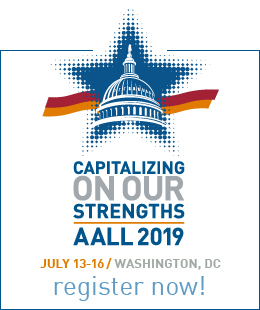 This year AALL signed an agreement with Hein to include TSLL in a special HeinOnline library developed for acquisitions, cataloging, and other technical services academic law librarians. TSLL is part of the Law Librarian’s Reference Library, currently available in Beta mode at http://www.heinonline.org/HOL/Index?index=lcc/tsll&collection=lcc. Discussions are underway with Hein to improve full-text searching capability within TSLL. You can participate by letting Hein know how you would use the product, and if there are specific areas of content you want to be able to access quickly and directly. There were four issues published in volume 34, and these issues are available on the TSLL website in PDF format. With the completion of the conference issue (September 2008) edited by Brian Striman, Virginia Bryant assumed the position of editor-in-chief for TSLL, with Cindy May continuing as associate editor, Julie Stauffer continuing her layout and design responsibilities, and Martin Wisneski as web manager. Ably assisted by this dedicated staff, the new editor’s immediate goal to return the publication of TSLL to a regular publication schedule was achieved. After twelve years compiling the serials titles changes, Chris Tarr and Maggie McDonald ended their run with the December 2008 issue, but the column didn’t miss a beat, with Barbara Bohl stepping forward to continue their work. One of the editor’s primary goals this year was to fill the vacant columns. Some of the new columnists were set to begin writing for volume 34, while others when asked graciously agreed to author a column. Acquisitions (last written in June 2007 by Kevin Butterfield) was filled by Trina Robinson, Collection Development (last written by Margie Maes in June 2008) was filled by Courtney Selby, Description and Entry (last written in March 2006 by George Prager) was filled by Robert Bratton, Management (last written by Caitlin Robinson in March 2008) was filled by Karen Douglas, Private Law Libraries (last written in March 2008 by Donna Rosinski-Kauz) was filled by Beth Geesey Holmes, and Research and Publications (last written by Chris Long in June 2006) was filled by Hollie White. Just when the editor thought the columns were set, new opportunities emerged. Well regarded Internet columnist, Kevin Butterfield, accepted a position at the University of Richmond’s main library. Several more replacement authors also will be needed as Monica Kauppi steps down as classification coeditor, and Ellen McGrath, a major contributor to the TechScans column, leaves big shoes to fill. All of these columnists mentioned, as well as those faithful continuing columnists, deserve our thanks and applause for their outstanding work on TSLL. In addition to the regular columns, volume 34 also offered several special articles about current practices in law libraries, including topics on improving the catalog and changing series authority control practices. The editor would like to encourage more librarians to write short articles about ways they have dealt with current issues in their libraries as a means of sharing that information with their colleagues. A late development this year is a proposal from Hein to include TSLL in a special library within HeinOnline that Hein seeks to develop for acquisitions, cataloging, and other academic technical services librarians. Both TS-SIS and OBS-SIS boards and AALL will consider Hein’s proposal, which would make past and current content in TSLL more accessible.